Slimbridge is a small village in Gloucester with the Gloucester and Sharpness Canal running through it. The road through the village has a bridge called Patch Bridge and this bridge is the only route to access the Wildfowl and Wetlands Trust Centre. At Patch Bridge there is a pub, The Tudor Arms which has B&B accommodation, a caravan park and on the canal towpath there is the Slimbridge Boat Station where there is a general store, cafe and boating resource centre. 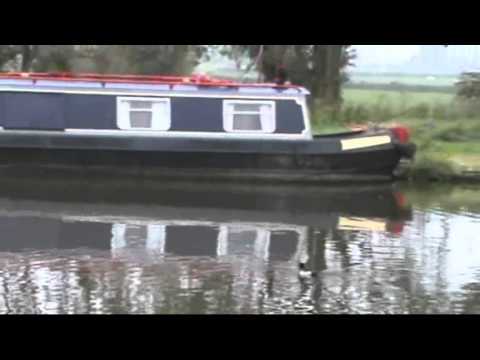 The canal running from Gloucester Docks to Sharpness Docks is 16 miles long, 16 feet deep and has 16 bridges. Boats and barges were originally towed by horses until steam tugs came into use in 1860. Wild Goose Lodge in the hamlet of Shephard’s Patch, close to the Slimbridge Wildfowl and Wetlands Trust Centre, is the perfect place to stay. They offer a wide range of accommodation from B&B to private and fully catered activity weeks for school groups, businesses and individual groups. They also have on-site meeting and entertainment facilities, a wide selection of catering options and a lounge bar. For more info take a look at their website or give them a call to discuss requirements they will be pleased to hear from you. The Wildfowl and Wetlands Trust Centre, which was founded in 1946 by Sir Peter Scott, is one of the most fascinating and exciting place’s to visit, with a vast variety of wildlife. The trust is set in 325 hectares next to a spectacular Severn Estuary back drop. This reserve has land rover rides and canal safaris for guaranteed close sightings of the wildlife in the wetlands and then there’s the Wellie Boot Land play area for the children to play while you relax and lots more to explore such as the all the wildfowl, wading birds, otters and tropical house etc. This nature reserve is suitable for wheelchair users and pushchairs. Church End which is situated at the south end of the village of Frampton on Severn is a pretty place with a large church, thatched cottage, a 15th century Tithe Barn and Splatt Bridge, a swing bridge, is close by. The village is a Conservation Area and is well worth a look round to see the cruck cottages, Georgian and Victorian buildings. There are also two pubs. We park in the village of Slimbridge and walk down the left side of the church and walk straight ahead through the fields and pass the golf course on the right until we come to the road. At the road we turn right and then take the path immediately on the left to go over a foot bridge over the River Cam we turn left and follow this river until we come to another bridge which we cross and then follow the footpath through the woods. After leaving the woods we come to an open field here we follow the track straight ahead then left and then make our way to the farm. We go through the farm turn left onto the farm track and then turn left at the road. We pass the Tithe Barn and then head for the church we then follow the footpath to the canal we then walk a short way to cross Splatt Bridge (swing). After crossing the bridge we turn left and follow the canal to Patch Bridge (swing). Here we turn right and head for the Wildfowl and Wetlands Trust. We then spend the afternoon here, about 4 hours but could have spent a lot longer here, it’s a bigger place than you think and there is a lot to see and do. We leave and walk back to Patch Bridge, we then cross over the bridge, go past the pub and follow the road back to Slimbridge village. This is an easy flat walk. Approx 5.75 miles using OS map OL 14. Add an extra mile to visit the Wildfowl and Wetlands Centre. 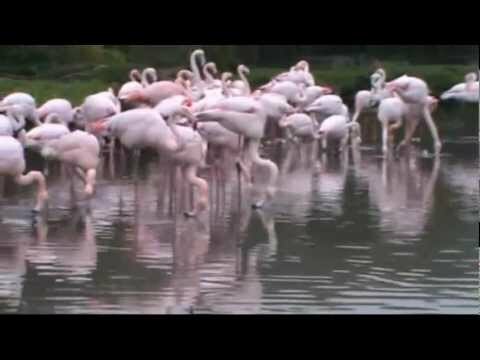 Slimbridge is approx 15 miles south of Gloucester, Gloucestershire. From Gloucester take the A38 towards Bristol and Slimbridge is signposted at a roundabout after you have passed through Cambridge. The only public toilets are at the Slimbridge Wildfowl and Wetlands Trust. For refreshments there is The Tudor Arms, general store and cafe next to the bridge over the canal in Slimbridge village just half a mile from the wildfowl and Wetlands Trust and there is also a restaurant at the Trust’s centre.